US 6 entering eastern Connecticut. 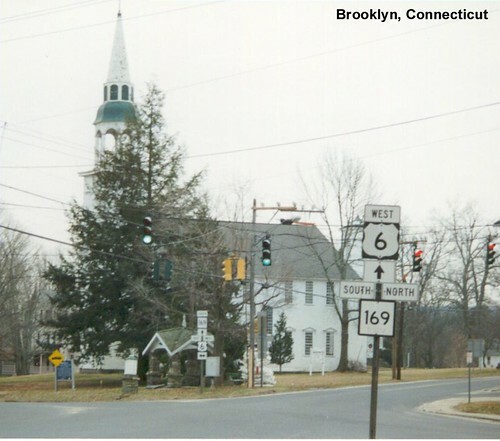 US 6 passes a big old church at the intersection with CT-169 in Brooklyn. 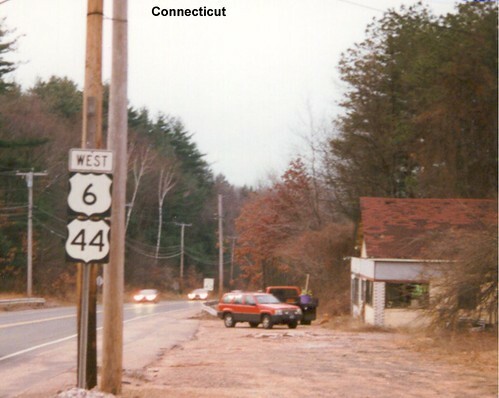 One of the nice things about US 6 in Connecticut is that it varies between two-lane street and major highway, providing both scenery and speed at different times. US 6 is multiplexed with US 44 through Manchester. A section of four-lane US 6 in Hartford County. 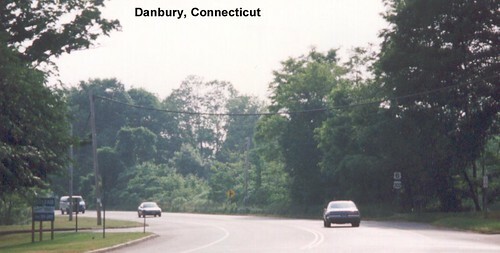 US 6 is multiplexed with US 202 in Danbury.